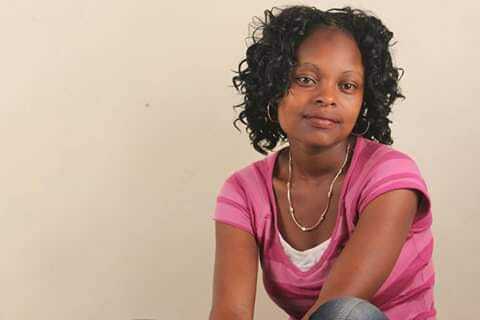 A Kenyan mother, Millicent Kithinji, is dead. She committed suicide barely 24 hours after sharing a suicide note on Facebook. The mother of one had reached out to friends on Facebook for counseling and help but it seems little was done. She shared a photo of her daughter accompanied by a deep message, talking about how life had taken a toll on her. Millicent said she really tried her best to fight the harsh life battles but she gave up. My love ….words are hard to form a perfect clause to express the love I have for you. I have fought the battle but seems like am being defeated ..I only pray that God may give you guidance, love and comfort. mom still loves you and will always love you. Kindly do forgive me. Kasungwa Musyoka: Depression is real. I know you were pushed to this.. They will NEVER have peace. Go well my sister.. ..
Marto Mmanchester: The memories I have of you, will forever be flashbacks in my mind. It really hurts to lose you comrade. I already remember this one time tulipiga story huko redhart hadi tukachelewa kuattend lecture. Rest in eternal peace. Ritah Roggz it’s so weird that..this gal has been st e.g. juggling for long but didnt get help. afew of her posts that I’ve seen clearly show a sad girl asking for help that she didn’t get…..oooh how I hate pretenders!! please don’t type RIP if you saw her posts and didn’t reach out to her.